Your Premier Service & Parts Department! Our auto service and repair offerings include trusted Chrysler, Dodge, Jeep, Ram & FIAT car repair and services in Thousand Oaks, CA. Located in Thousand Oaks, CA! 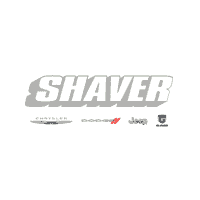 Shaver Chrysler Dodge Jeep Ram is committed to making the car buying process as painless as possible. We know that there are countless options to choose from when searching for a new vehicle, which is why we are so excited to help you find the vehicle that is right for you. You can start by looking at our new car inventory. We carry the newest Chrysler, Dodge, Jeep®, RAM, and FIAT car, truck and SUV models at our dealership, including the 2019 RAM 1500 or the 2019 Jeep Grand Cherokee. If you are in the market for a vehicle but aren’t sure you want to buy brand new, we offer a variety of used cars for sale near Los Angeles. Once you’ve found a car that fits both your wants and needs, be sure to check out our Chrysler finance center to help plan out your purchase. There you can request information and one of our experts will get back to you with the information you need. Also, make it a point to use the payment estimator as well as our tool that lets you value your trade-in, just another way to save at your local Jeep dealership. Once you believe you are all set, you can apply for credit online! We take pride in the fact that our work doesn’t stop once you’ve made your purchase. Our Dodge parts department is here if you ever need any replacement parts. If your car needs anything from an oil change to engine maintenance, head into our service center. Before you schedule car service, be sure to check out our service specials! We would love to see you in person, so feel free to come in to your RAM dealership in Thousand Oaks, CA, today! If you don’t have time to come see us today, please contact Shaver Chrysler Dodge Jeep Ram online!